This is the summary of consumer reviews for Apple iPad Mini. The BoolPool rating for this product is Very Good, with 4.20 stars, and the price range is $329-$659 (16, 32 and 64GB, WiFi and Cellular). Weight (comfortable with one hand) . Cons Resolution for reading books - when used to retina display, this device is a huge disappointment. can't really find anything to complain about other than not having the retina display, but then, the smaller size screen kind of compensates display quality. Pros IOS, IOS apps, weight, display, battery life, hardware ecosystem, Apple backing . Cons No retina display . disappointing display, little bit better than iPad2. Cons Low resolution screen when most Apple products are moving to Retina high resolution displays. Hope apple will get it a retina display for next generation. Color, while not retina display, is gorgeous. Pros Thin, light, very comfortable to hold and lot of great apps . Cons i'd rather spend more for the full size . ipad or less for a more powerfull, beautiful display . nexus 7 or even . nexus 10, yes the nexus 10 cost around 300$ two and it've 299 ppi display! If you're just looking for a smaller tablet that you can use, I recommend the Google Nexus 7 or the Amazon Kindle HD 7" as the display, performance, and battery life will be far better on those tablets. Full Apple ecosystem . Cons Display resolution is lower than competitors Summary Not a competitor to bargain basement . Best battery life of any tablet. Thinnest, lightest . tablet money can buy. Also, I play with a lot of other tablets at work and the iPad mini is definitely the best 7 inch tablet out there including the Kindle family and the Nexus 7. And what a tablet it's. Exceptional build quality, shockingly light, and with a surprisingly large screen for a small tablet. I honestly started out looking at other small tablets. Low-res screen . Summary If you're thinking about which . tablet to buy a loved one and money isn't an issue, I'd recommend the . 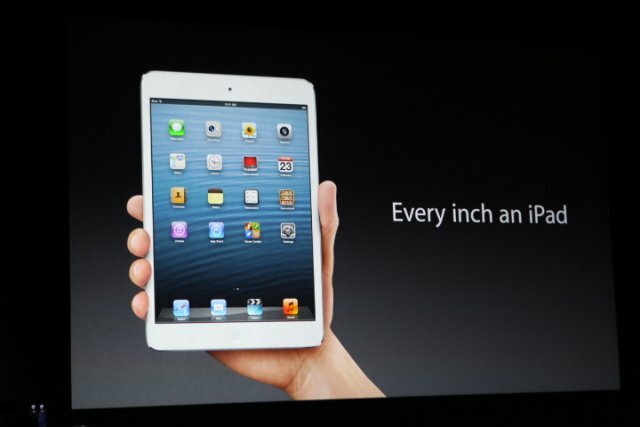 iPad mini every time for it's more impressive design compared to the swathes of plastic offered by its competitors. As for the price, I do think it should have been price 10% lower to give it the solid under $300 mark on the 16GB. Apple fixed the price for every retailer at $329. But I was very satisfied with Walmart's good price! give a competitive price so that we customers like me can buy!. The iPad Mini is a great device but the pricing is ridiculous considering that you can go on to Apple.com or to an Apple Store and pay $40 to $70 LESS than what these clowns are asking for. BUT are you willing to purchase this from these sellers at a 20% price increase, when you can get it directly, which it'll ship in 2 weeks, for $329 for the 16GB. It's give a everyone a better price point for starters then before and this's attempt to draw sales alway from the . IPad 2. The only reason that I didn't mark the "Value" higher was because I feel that everything is priced too high compared to the cost to a company for making the item. Love the size, very portable, will fit in my wife's purse. Really pleased with this IPad I love the size.awesome Christmas present!!!. Love ordering online, makes shopping very easy. 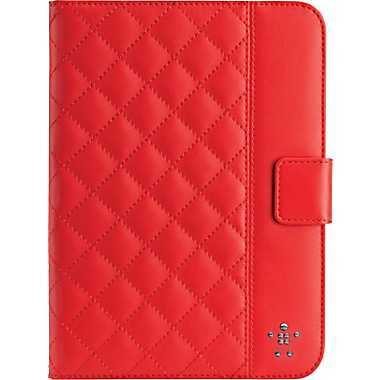 I've had an iPad and although I loved it, I love this one more just because of its size. I Love the New Ipad Mini!! 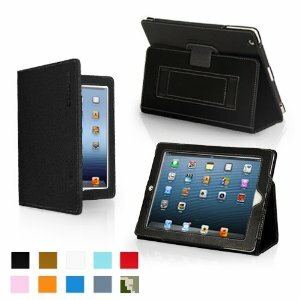 Love the size and great gift for the wife and her daily business ventures. But, I LOVE HER MORE!. This tablet is the perfect size. It's better than android, and apps are well defined, great job apple :). With apps like Tozzle, Teach me Toddler, and the Toca Boca apps, which kid wouldn't? Note that there's a magnifying capability for iPhone apps that gives a small display full screen display. You can filter just iPad apps, or show iPhone apps as well, and you can also filter just the free products or just the sale apps. It immediately loaded all our favorite apps, songs, pictures, and movies to the mini without hassle. Retina Display is needed and make the home screen page's icons and text proportionate to 7.9 inch hardware size. A5 chip performance was sluggish especially when you're trying to install apps from the App Store or launching books from the iBook's app. Price is a little high, but with all the great apps from the App Store it's worth it. 200,000+ customized . tablet apps run beautifully on this device from Day 1 . Pros Works with . ipad apps, one hand operation, excellent size, smaller boarder than ipad, portable . Cons long charge time. Summary This's by far my favorite iOS device. Pros Portable, Battery Life, Bright Screen, One Hand Use, Loud Speakers . Cons Recharge Time, Tiny Text Occasionally. If you want a device to read over a long period of time, none of the other devices comes close. Battery last an amazing long time. 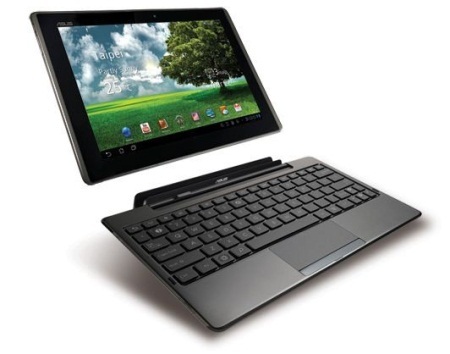 Speed: The dual-core A5 provides this device with plenty of computing power. The device seems to stream the Time Warner App without buffering or glitches--I really can't complain. The screen is bright & crisp, it isn't a retina screen (really nothing is) and going from other devices to this's different an upgrade. Other . Kindle and Nexus devices feel old & clunky. It's one light, thin, sharp looking device. 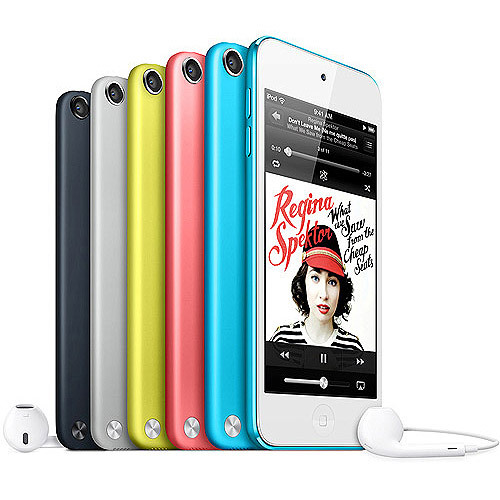 Nice bright, sharp, excellent color screen. I'm not an iPad Retina screen user, so I don't have that disadvantage as I look at the mini's screen. The screen is beautiful and all my apps work perfectly. I wasn't gonna get this iPad because people were complaining about the display and how bad the screen looked, but I think the screen and display are awesome!. Sure the screen isn't retina, but it still works all the apps with speed. Perfect camera, screen, software and display is beautiful. Screen isn't retina, but I don't miss the retina. The latest generation of Apple products has really brought production quality to a new level. It's a nice little product. 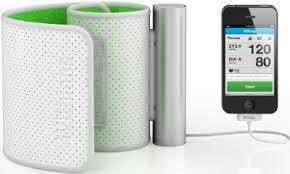 ITS A awesome product for sure i've all apple products as well only way to go thanks. Great little product, no question. I bought this product at the apple store the day it was released, and I HIGHLY RECOMMEND buying this product from apple, that's if you want to save money. * A solid, well engineered product appeals to you. This Ipad mini is a great product. Overall, this product exceeds five stars. The screen size is perfect for my needs, I think it's a more optimal size than the iPad when it comes to gaming, while also being a great size for viewing movies, TV shows and pics, even with two people watching. Perfect size for browsing and gaming. 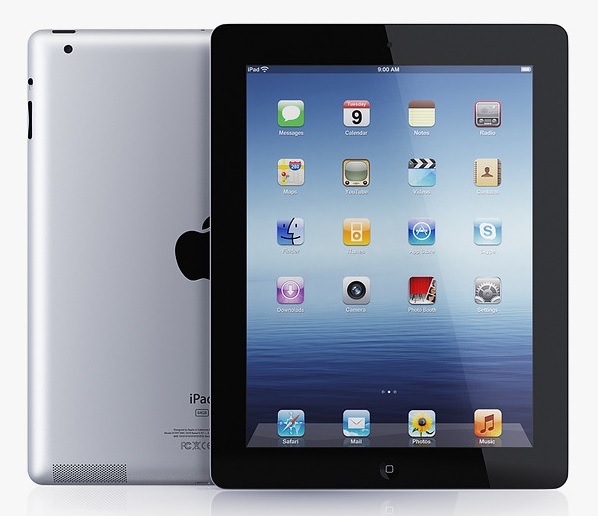 The iPad's size is great for watching tv, movies, reading books or light document work but a hassle to carry around. i find this version to be better than the full sized. Pros It's a nice size . Cons Same processor and screen resolution of the . 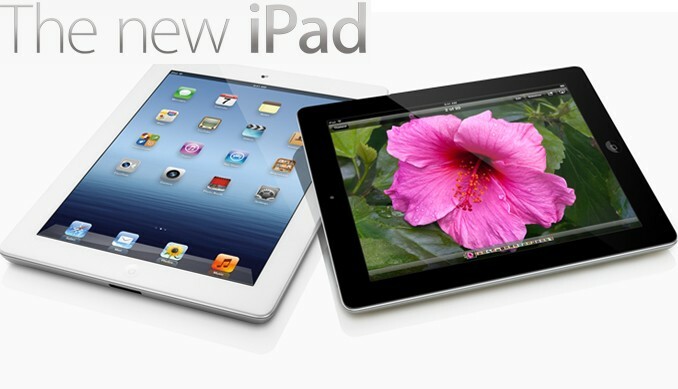 iPad 2 - be better to buy one of them. She's the full sized version and wanted this new mini. The mini is a great size.